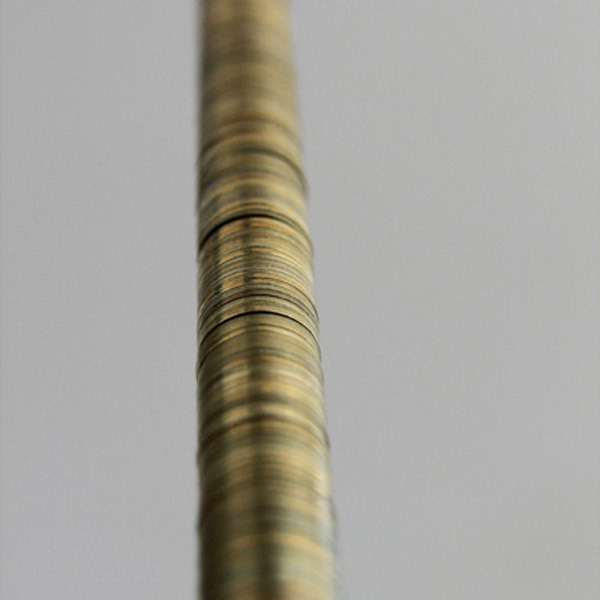 Swiss money coins column going from ground to ceiling. The title is related to Rockfeller saying that building a fortune always starts with small coins. FOOLS GOLD, solo show at ESPACE DOLL, Lausanne, 2008.